Hitachi Vantara may have made some hard pivots away from their more traditional HDS storage unit in recent years; however the vendor devoted much of its recent user conference to explaining where its storage fits with AI and the internet of things. Read this e-guide for the specifics on Hitachi’s recent developments. 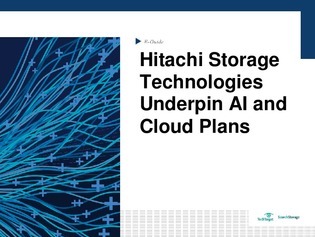 The guide also includes a detailed dive into the vendor itself, and analyzes Hitachi AI tools and NVMe for hyper-converged, expected in 2019.